This is a high-quality, OEM heater hose for the B6-B7 S4. 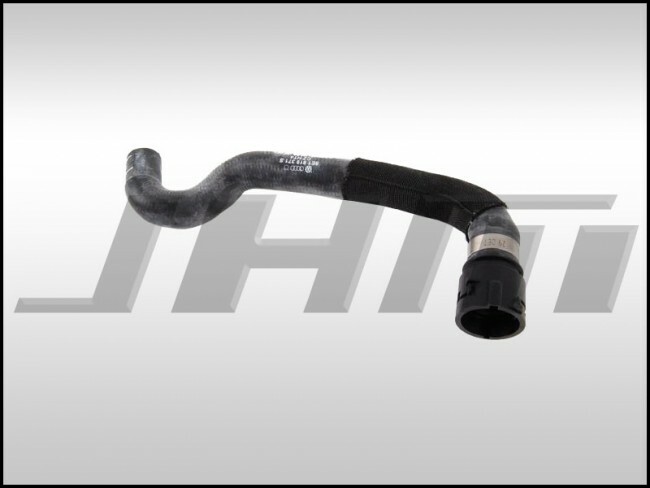 This hose is the supply or feed heater hose and connects the heater core to the coolant pipe at the back of the motor. This hose commonly becomes brittle with age and heat. You may see signs of coolant seepage or cracking at the connections to the core or around the OEM clamps. The OEM PN is 8E1 819 371 S or 8E1819371S. NOTE: There is a VIN split for this hose. Select this hose if your VIN is greater than 8E-4-189001.